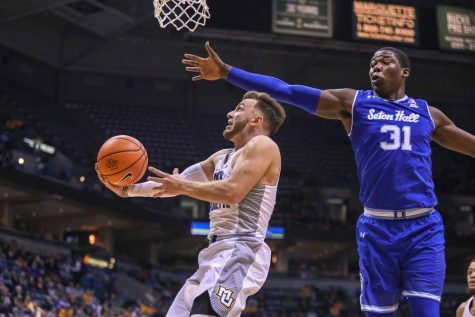 The Marquette men’s basketball team tipped off the Steve Wojciechowski era with a 115-47 drubbing of Division III Wisconsin Lutheran in an exhibition game held at the BMO Harris Bradley Center Saturday afternoon. 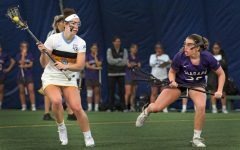 The game was merely a tune up for the Golden Eagles, who never trailed or were tied with the Warriors at any point. 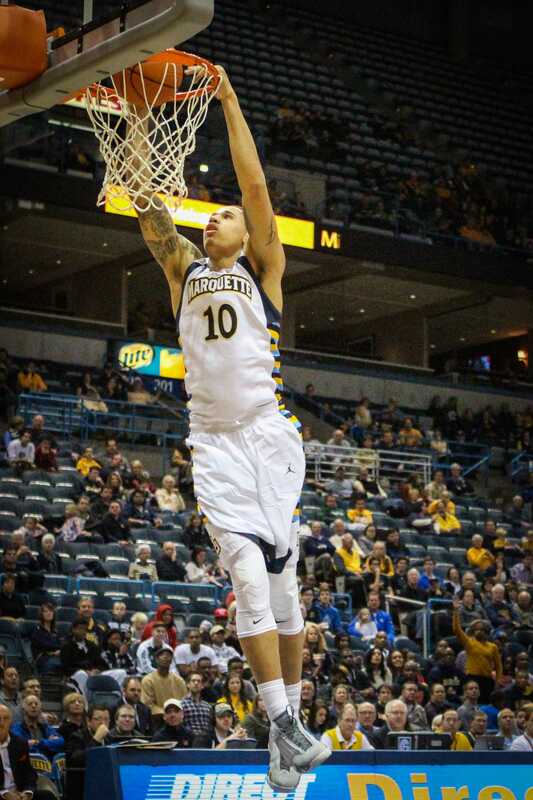 Marquette had five players in double figures on Saturday, with senior Juan Anderson leading the way with 27 points. 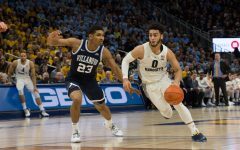 Defense led to offense against the Warriors, as Marquette utilized a full court pressure defense – something Wojciechowski hinted at in the preseason – that sparked plenty of points off of turnovers. 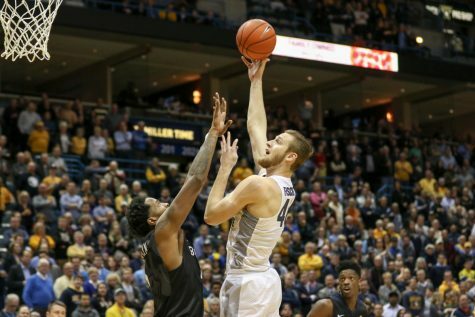 Marquette forced 33 turnovers in all and scored 47 points off of those turnovers. 21 of those miscues came in the first half. 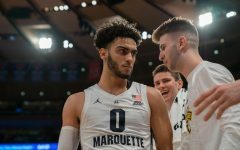 Wojciechowski said this stifling full-court defense is something his team will rely on in his first year at Marquette. 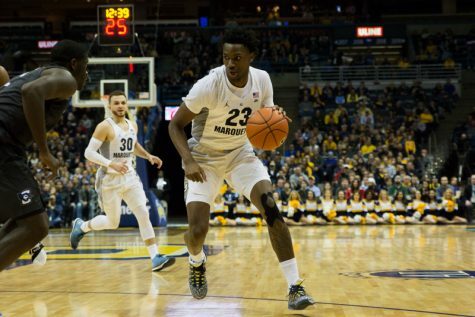 All nine players saw the floor for Marquette, but the starters were junior Steve Taylor, freshman Sandy Cohen and seniors Anderson, Derrick Wilson and Matt Carlino. 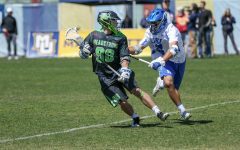 Nobody knew what Wojciechowski’s first starting lineup would look like and he said the basis for his decision came from what he saw in practice. The Golden Eagles got contributions across the board on Saturday. Five players (Cohen, Anderson, Duane Wilson, Jajuan Johnson and Burton) scored in double figures. 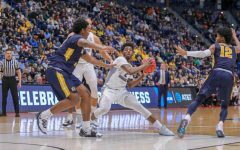 Marquette got 51 points from its bench and each player aside from sophomore John Dawson scored at least seven points. Wojciechowski said his team’s depth will be pivotal once the season officially gets underway. 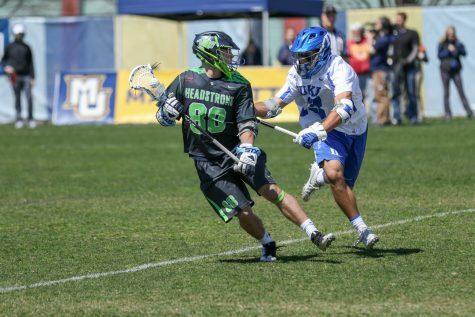 The first half was impressive defensively, but not as efficient on the offensive end. 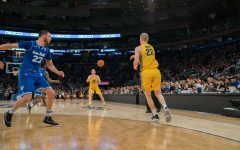 The Golden Eagles made only two baskets from outside of the paint or the free throw line – a Deonte Burton 3-pointer and a Matt Carlino jumper from the elbow – and shot 37.8 percent from the field. Burton’s make was the lone triple of the half, as the Golden Eagles went 1-of-11 from downtown. 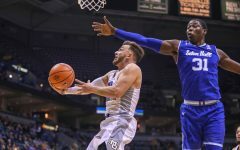 Wojciechowski said his team’s aggressive defensive effort was a reason for his team’s heavy dosage of paint points and outside shooting struggles. 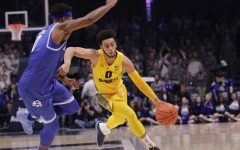 Things did get exceptionally better in the second half for Marquette, as the team shot 77 percent from the field and surpassed its first half scoring total in the first 12 minutes of the second stanza. 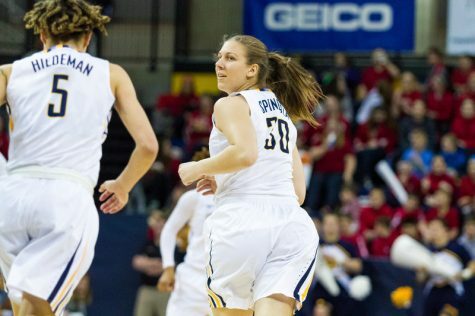 Cohen and Carlino were each impressive in their Marquette debuts. 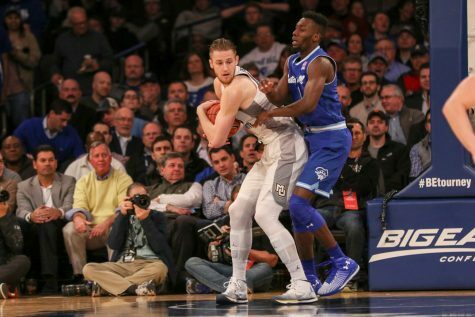 Carlino was only 3-of-9 from the floor and didn’t provide a potent scoring punch, but he did add a team-high 12 assists and six steals. Cohen scored 14 points on 4-of-7 shooting with several 3-pointers. He also hauled in seven boards. 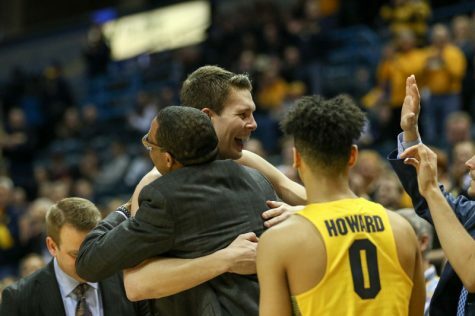 It’s tough to estimate how much the performance means going forward, but Wojciechowski was pleased with some of the things his team did in his first game as a head coach. 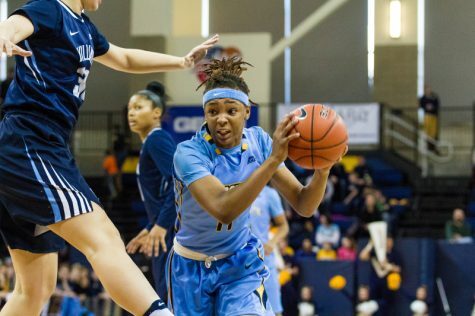 The Golden Eagles will have a week to fix things before they take the floor Friday for the official home opener against Tennessee-Martin at 8:30 p.m.